We’re extremely pleased to announce that for a limited-time following our launch, we’re offering a perpetual licence of Carveco Software with 12-Months Maintenance included, for only $1600 / €1400 / £1200. Please be aware that this offer is available for a limited time, only. Built on the ArtCAM® codebase developed over 25-years, Carveco™ software includes familiar tools, features and workflows. The only significant change is the product name. Proprietary files (*.art; *.3dp; *.rlf; *.3da) originating from any version of ArtCAM® between 2013.SP2 and 2018.2.1 are compatible with Carveco™ software. Our maintenance agreement includes extended technical support for ArtCAM® users transitioning to Carveco™ software. Our first software release, complete with functionality equivalent to Autodesk® ArtCAM® Premium. Licensed wholly and outright, to you. Access to new features, software enhancements, bug fixes, product updates and dedicated support when you need it. Access support through our online Community, dedicated 1:1 email support, our Help Centre, online chat, or phone. Rest assured, if you’re not completely satisfied with your Carveco™ software, we offer a 30-day money-back guarantee on all purchases. Carveco is a company built by a long-established group of people, each with a demonstrated history of commitment to the longevity of ArtCAM® technology, and to ensuring ArtCAM software users achieve success. The Carveco team comprises experienced Delcam and Autodesk alumni, and possesses a wealth of knowledge about ArtCAM technology and the industries it serves. 2. Are you a part of Autodesk? Carveco is not part of Autodesk; it is an entirely independent company. 3. I already have ArtCAM. Why do I need Carveco? Autodesk’s support for ArtCAM® software officially ended on November 1st, 2018. In short, this means that there will be no further development, updates, bug fixes or direct support beyond peer-to-peer interactions across online forums. Where the functionality and performance of ArtCAM software has been an integral part of your business, we are confident that you would want to ensure continuity and stability to protect the long-term health of your business. Carveco exists to offer that continuity in the short-term, and the development of new features and software enhancements in the long-term. Further information on ArtCAM’s discontinuation can be found in this article published by Autodesk. 4. Are my ArtCAM files compatible with your software? 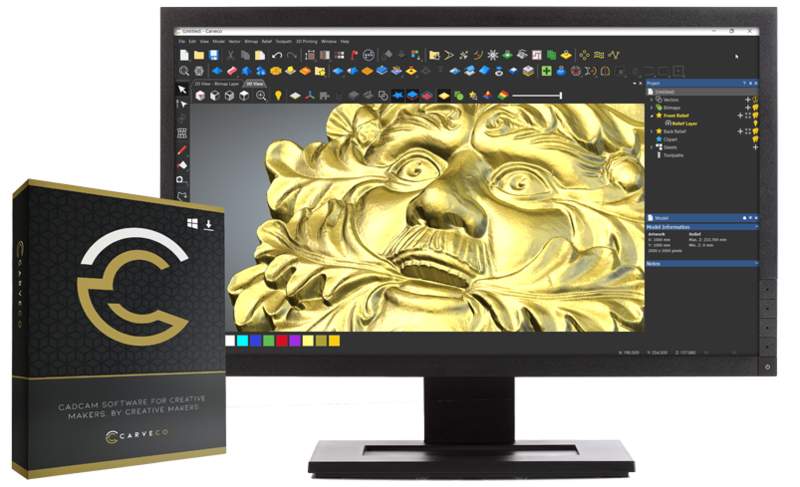 All ArtCAM® software proprietary files (*.art; *.3dp; *.rlf; *.3da) originating from any version of ArtCAM software between 2013.SP2 and 2018.2.1 are compatible with Carveco™ software. Customers with any problematic ArtCAM proprietary files should contact support and supply a sample file. batch converted in ArtCAM 2015 R2 utilizing a USB security-protection dongle following the process documented in this article published by Autodesk. ArtCAM Project files (*.3dp) originating from any version of ArtCAM software between 9 and 2013.1 must be opened and re-saved in any version of ArtCAM software between 2013.SP2 and 2015 R2.SP3 utilizing a USB security-protection dongle. Each of the models within the project must also be opened and re-saved in the same way. 5. Are There Any Limitations When Comparing ArtCAM to Carveco? 3D Printing and Batch Assembly tools are excluded; but you can still export Carveco models as STL files for use in 3rd-party 3D printing software. Support for importing 3D surface models is reduced, but still includes *.dgk; *.ddx; *.ddz; *.igs; *.ige; *.iges; *.3dm; *.stp; and *.step file formats. 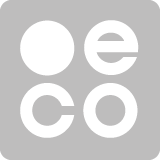 For a full list of Carveco supported file types please click here. A new model cannot be created by opening a PDF file, but PDF files can still be imported. While we intend to investigate opportunities to include similar functionality in Carveco software, there is no guarantee that this will lead to it being implemented in future. More detailed information can be found by visiting our full FAQ page or our Feature Comparison breakdown. If you have specific questions relating to Carveco that you’re unsure about, please contact us using the form at the bottom of the page. We’re more than happy to help!